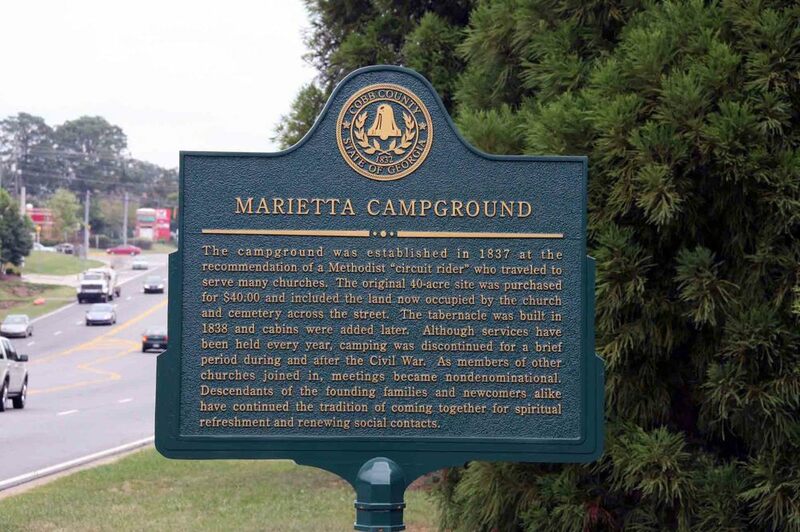 What was once a small piece of civilization established in the wilderness, Marietta Campground now survives as a rare place of worship, hidden down a gravel drive just yards away from city life and the hustle and bustle of busy Roswell Road. Parking is available in the gravel area between the Arbor and Roswell Road. If full, additional parking is found in the gravel areas behind the cabins.